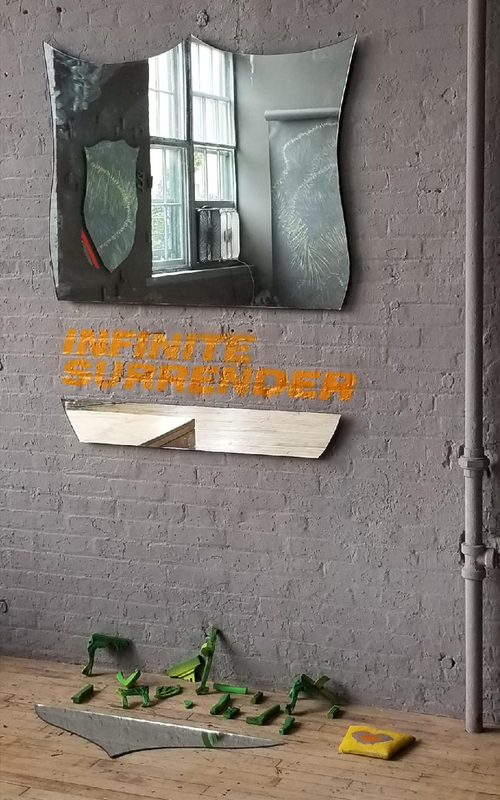 We are thrilled to announce the two person exhibition of Baltimore-based painter Alex Kondner & our founder Jordan Faye Block, Infinite Surrender | Divine Intention, opens at Grey Matter Art Space a gorgeous 3,000sq ft loft gallery in the heart of the city's oldest arts & entertainment district, Station North. 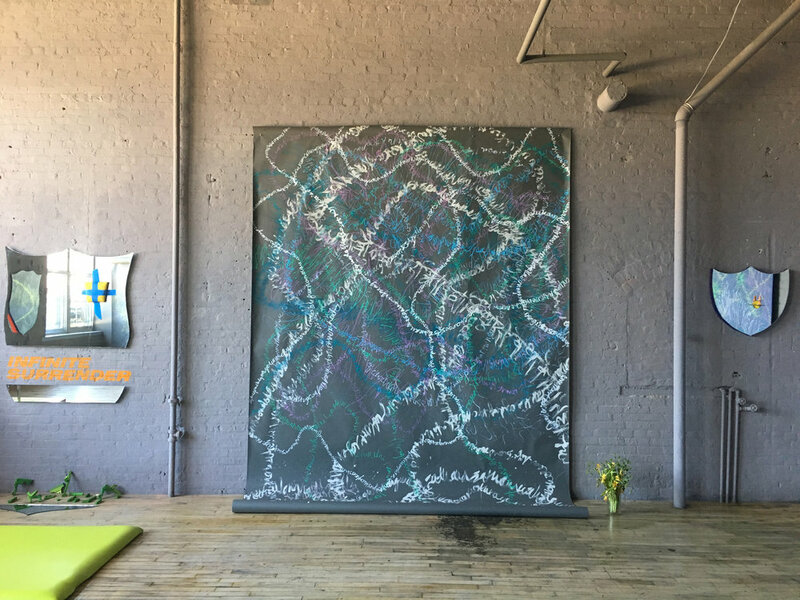 Grey Matter Art Space is run by painter & curator David Herman, located on the first floor of the Cork Factor at 1601 Guilford Avenue. works from this exhibition can be seen by appointment in the studio. 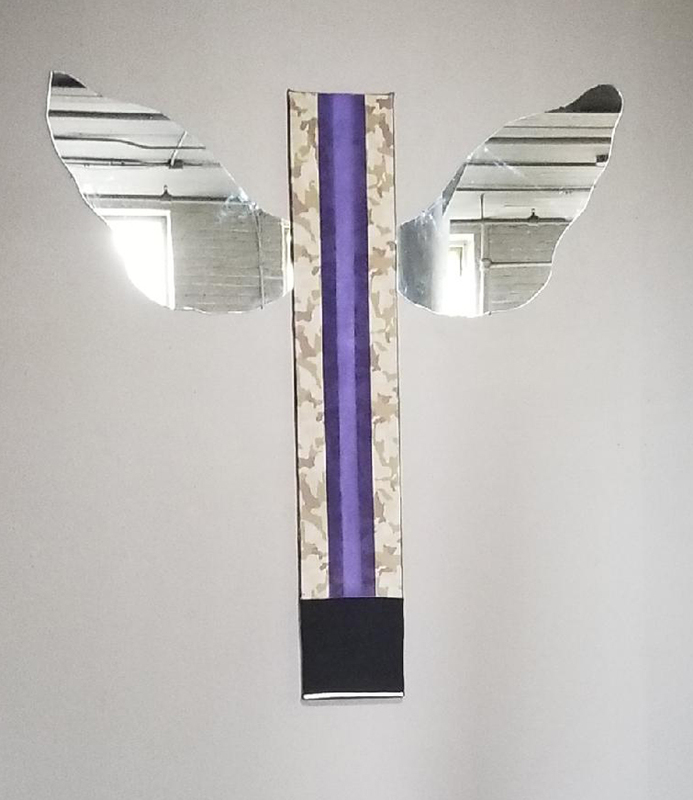 Grey Matter will host an Opening Reception for Infinite Surrender | Divine Intention on Friday June 8, 7–11pm. The artists will be present at the Opening. The exhibition runs thru July 29, 2018. The gallery will be open from 12 – 5pm Saturday and by appointment. There is a Closing Reception on Sunday July 29 from 3–8pm. As an artist, designer, and curator – Jordan Faye Block earned an MFA from the Maryland Institute College of Art. Ms. Block received her BFA in Printmaking from Plymouth State University where she co-founded the PIP Gallery. Ms. Block has continued to make work throughout her 15 years in Baltimore. Her large-scale paintings, drawings, and monotype installations have been shown in solo and group exhibitions in New York, Baltimore and Chicago. She founded Jordan Faye Contemporary in 2006, curated 180 exhibitions, and brought her artists work to Miami, the Hamptons, Houston, San Francisco and Los Angeles. Ms. Block's own work has been shown at Sotheby's NYC and is in many private collections. She lives & works in the Station North Arts District with her sweet cat Scheherazade. Alex Kondner is a Baltimore native who has studied at the Oxford Polytechnic University in Oxford, England and at the Maryland Institute College of Art, where he earned both his Masters of Fine Art and Bachelor of Fine Art in Painting. Alex's work has been widely shown as he's had solo and group exhibitions in Paris, Tel Aviv, Oxford, Chicago, New York, Washington D.C. and of course Baltimore. Lyonsweir Gallery has taken Mr. Kondner's work to Scope Miami, Scope New York, Pulse Miami and Art LA. 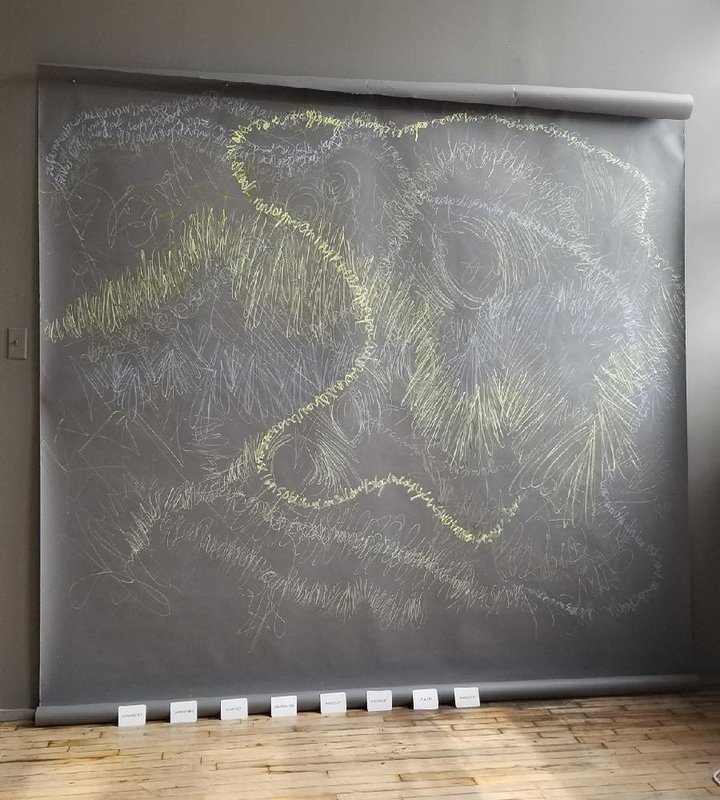 His work is in numerous private collections and most recently he's had a solo exhibition at the Hamiltonian Gallery in Washington D.C., where he also served as mentor in their fellowship program. He works out of his clipper mill studio and lives in Woodberry with his Rohdishan Ridgeback, Kenya. Want to join us on this adventure. Please fill out the form and we'll be sure to add you to our mailing list for all art events at the new gallery!